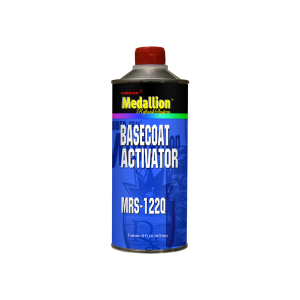 MRS-122 Basecoat Activator can be used in various paint manufacturers' basecoats to increase durability, improve intercoat adhesion and increase gloss holdout. Basecoat Activator should be used in the basecoat when a fast, rapid cure activator is used in the clearcoat. MRS-122 Basecoat is available in quarts (6 quarts/case).